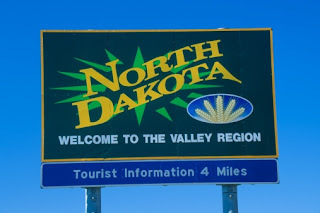 North Dakota Preps • View topic - Greatest Super Hero? With so many out there, who is the best? John Cena wrote: With so many out there, who is the best? baseball wrote: Captain Planet....game over!! Wow, and it's even Earth Day and all. That almost warrants a legitimate, not arguable game over. But to continue on the blue superhero theme, I am going to have to go with the omnipresent Dr. Manhattan with his ability to preserve time in a quantum fashion. My favorite when I was a kid was Iron Fist. You probably never heard of it, but it ran for Marvel Comics for about 13 years, ending in 1986. Apparently they are developing a movie that will be out about 2012. NDSportsFan wrote: My favorite when I was a kid was Iron Fist. You probably never heard of it, but it ran for Marvel Comics for about 13 years, ending in 1986. Apparently they are developing a movie that will be out about 2012.
what's his super power? does he have some sort of insane iron fist that he can punch SUPER hard with? "The ability to concentrate his body's natural energies into his hand, manifesting as a supernatural glow around his clenched fist, making his fist "like unto a thing of iron." So concentrated, this "iron fist" can smash into its target with superhuman hardness and impact, while his hand becomes impervious to pain and injury." So, yeah, pretty much. It's a pretty neat story about how he acquires the powers. It kinda rode the wave of the kung fu movie genre during the late 70's and 80's. NDSportsFan wrote: "The ability to concentrate his body's natural energies into his hand, manifesting as a supernatural glow around his clenched fist, making his fist "like unto a thing of iron." So concentrated, this "iron fist" can smash into its target with superhuman hardness and impact, while his hand becomes impervious to pain and injury." Rorschach from the Watchmen Graphic Novel, and Marv from the Sin City Graphic Novels! Also, the Incredible Hulk! eastwood99 wrote: Rorschach from the Watchmen Graphic Novel, and Marv from the Sin City Graphic Novels! Also, the Incredible Hulk! Yeah i agree....The Comedian is just plain psychotic! What about the Spirit? What are you thoughts on him?